What to do when Xbox Live is down? 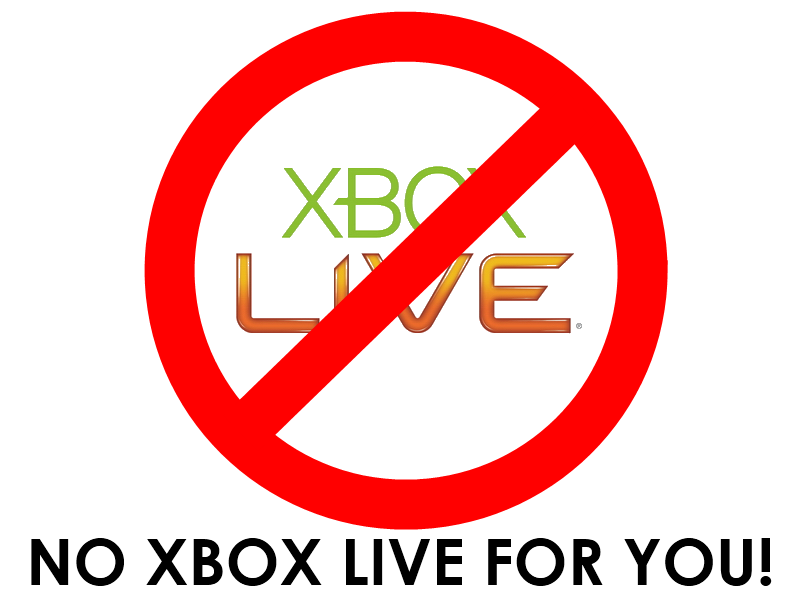 You are at:Home»COLUMN»What to do when Xbox Live is down? Microsoft’s Xbox has been in a roll in the headlines. The holiday bundles have outsold their main competitor PS4, but for most of Christmas Day, current Xbox users as well as new users, who have unwrapped their new shiny consoles were undoubtedly displeased, as they were unable to use their console. As of now, 5PM PST, the service is still down with no sign of going online anytime soon. A hacking group has claimed responsibility for the attacks. There is currently no official press release from Microsoft. One of the services that Microsoft offers is to be notified when its system is back up. 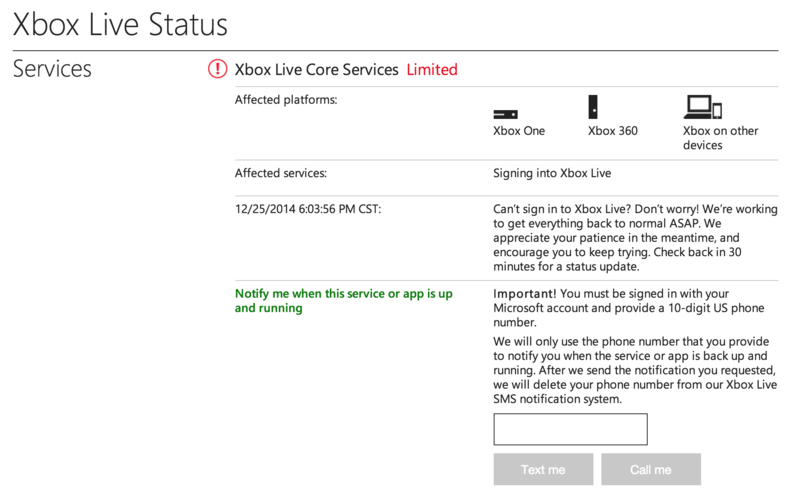 Visit Xbox Live Status, and you can enter your phone number to receive a phone call or a text message once Xbox Live is up and running. In the meantime, we’d recommend talking to your friends and family – it’s Christmas Day! If you still want to get your game on, there is still campaign mode for most games. It may not be the same saving the world with 3 bots, but hey – it’s better than going at it alone. What do you do when you can’t use your Xbox? Post in the comment section!